As Japan’s Fukushima nuclear disaster demonstrated, no nuclear plant is ever completely safe. 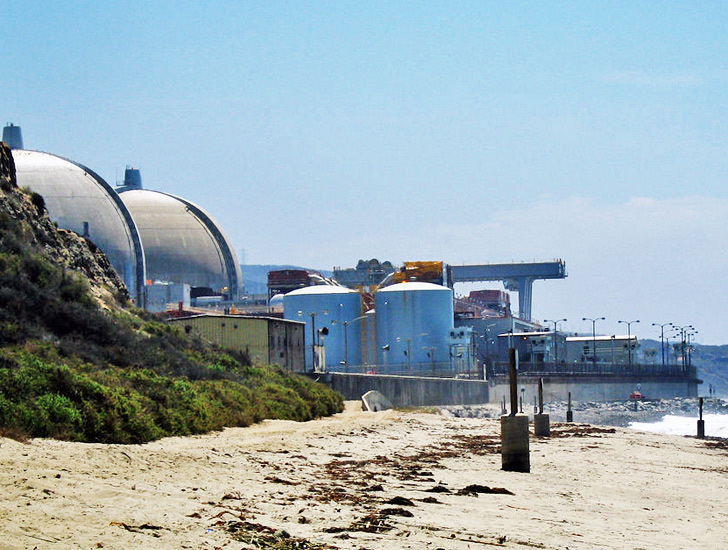 In January 2012, the San Onofre nuclear generating station (SONGS) in Southern California was closed due to the discovery of a radiation leak and other damaged components. It has now been over a year, and Southern California Edison (SCE), which operates the station, has asked the Nuclear Regulatory Commission (NRC) for permission to bring the plant back online. Unfortunately for them, a shocking photograph published by local ABC affiliate 10 News has cast doubt over whether SCE’s request should be granted. The image, taken almost a year after the plant’s closure, shows a leaky pipe being held together with masking tape, plastic bags and broom handles. According to the 10 News report, SCE has confirmed that the picture was taken inside Unit Three, but it did not confirm when it was taken. Unit Three is the same unit that leaked radiation in January 2012. A spokesperson for the company claimed that the plastic and tape was put in place to direct the water from the small leak in a water pipe to a drain, but it’s not an explanation that inspired much confidence in the utility’s safety culture. If they can’t keep pipes full of salt water from leaking all over the place, what makes them think they should be trusted with life-threatening nuclear waste? Repeated repairs and inspections at SONGS have already cost around $100 million, with $444 million needed for replacement power costs. Imagine if all that money had been spent on solar or wind development instead? We say it’s time for the SONG to be over. As Japan's Fukushima nuclear disaster demonstrated, no nuclear plant is ever completely safe. In January 2012, the San Onofre nuclear generating station (SONGS) in Southern California was closed due to the discovery of a radiation leak and other damaged components. 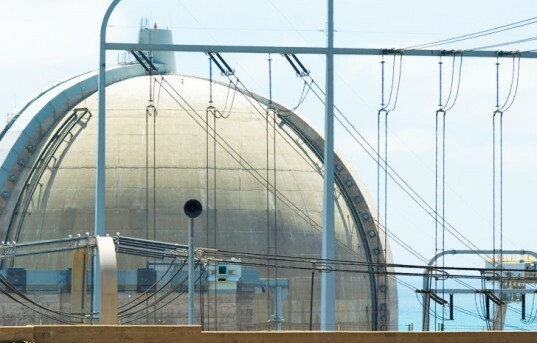 It has now been over a year, and Southern California Edison (SCE), which operates the station, has asked the Nuclear Regulatory Commission (NRC) for permission to bring the plant back online. Unfortunately for them, a shocking photograph published by local ABC affiliate 10 News has cast doubt over whether SCE's request should be granted. The image, taken almost a year after the plant's closure, shows a leaky pipe being held together with masking tape, plastic bags and broom handles.